Erin Birch came onto the scene like storm, earning her first $100K in just her first year. “I share this with the community because I want to show what is possible! Anyone can do this! 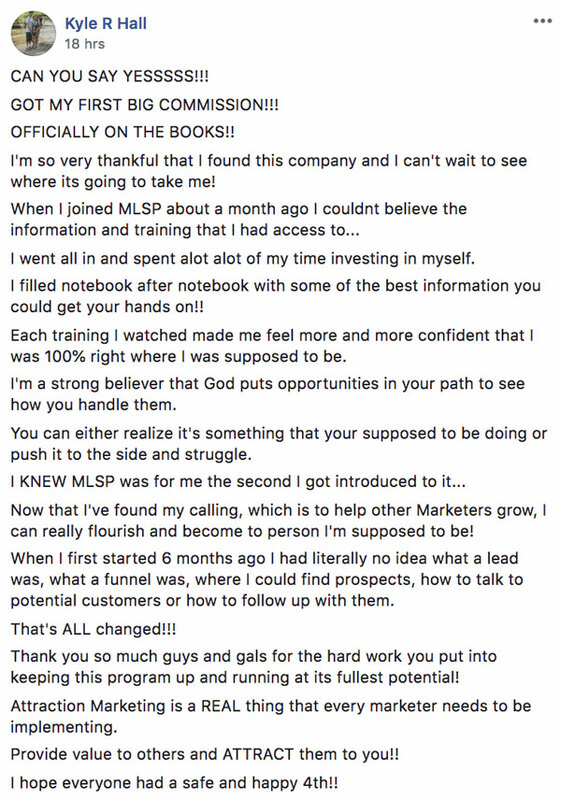 I had ZERO marketing skills and ZERO tech skills when I came into MLSP! Saravjeet K Sandhu was comparing her results for the last 2 months and practically doubled her profile visits and Tweet Impressions. BOOM! 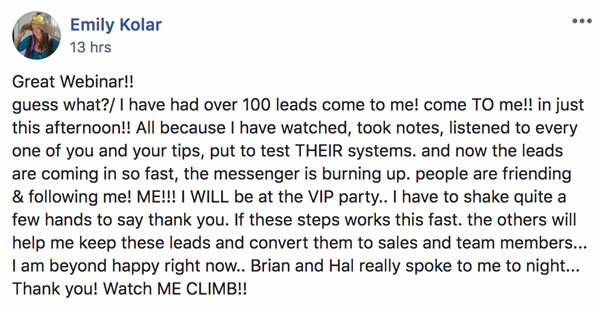 Kyle R. Hall is seeing the results from learning the skills of attraction marketing, putting in the work, and investing in himself! “I'm so very thankful I found this company and I can't wait to see where it's going to take me! Very true words from someone seeing the results just this week! Jennifer McKenzie Moseley is “super excited” and we feel the same FOR her! We love to see our members getting results. 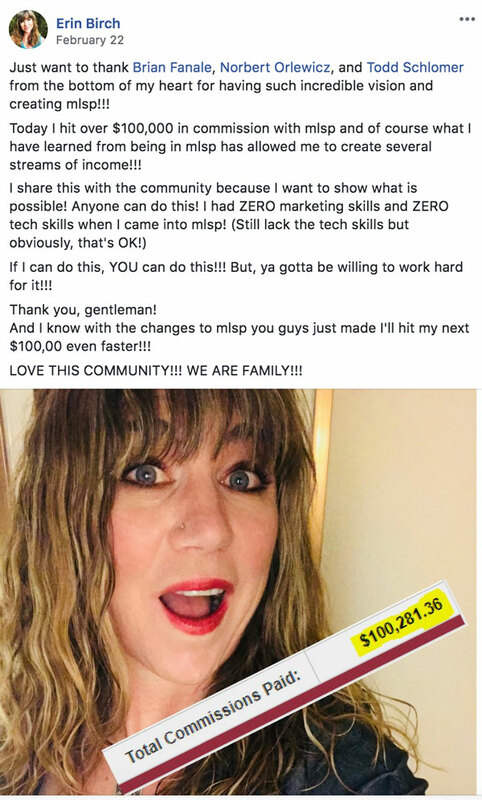 She's learning how to prospect on Facebook from one of the best in the business Aron Parker, and she's seeing results! Danny Monzon has come a long way in a very short time. 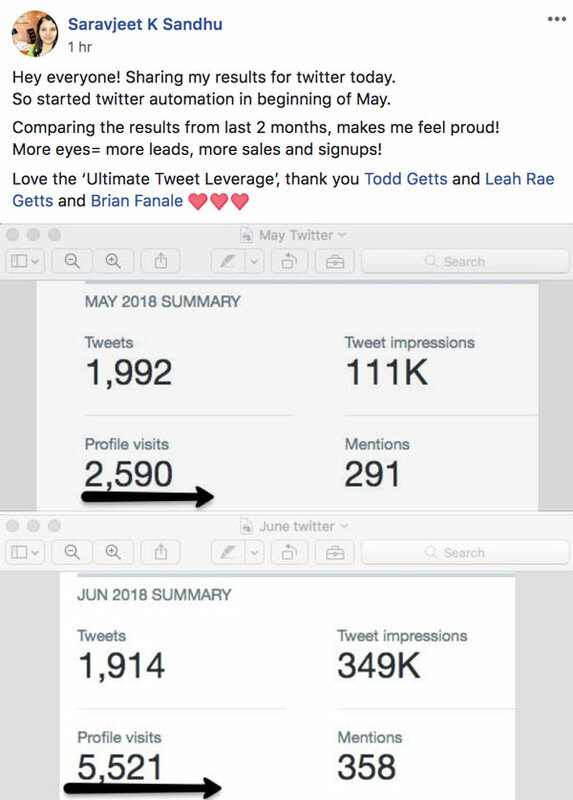 That's what happens when you learn the skills of effective attraction marketing taught here at MLSP. 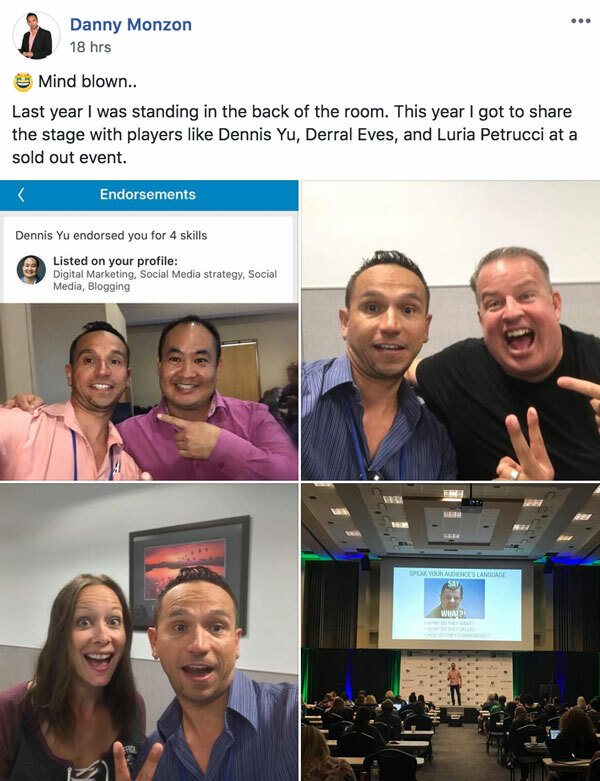 Now this dude gets to share the stage with names like Dennis Yu, Derral Eves, and Luria Petrucci at sold out events. 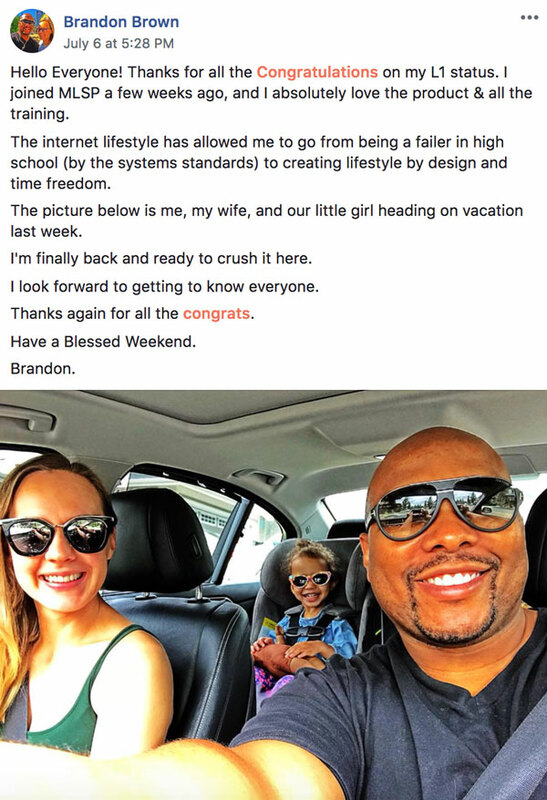 Brandon Brown is on fire hitting L1 status in no time at all. “I joined MLSP a few weeks ago, and I absolutely love the product & all the training. Brandon has hit the nail on the head. Your past doesn't matter. 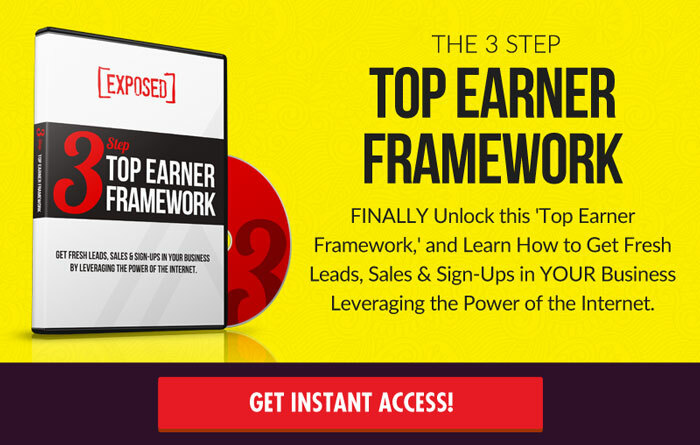 Anybody can use the marketing skills that actually work, and build the life of their dreams here! So proud of you Brandon! Nathan Lucas celebrated his 3 year anniversary inside MLSP this week. And during that time he's absolutely crushed it. “When I got started I had ZERO results in my business and I thought I knew it all (I clearly didn't). Congrats and Happy Anniversary Nathan! Aron Parker is on the roster for our 10 Year Anniversary Live the Dream event in August. And with those kinds of results why the heck wouldn't he be? Aron's training has been the catalyst for so many success stories on this post week after week. They're in the MLSP back office, and you'd be crazy not to check it out, and implement it ASAP! Can't wait to see this guy teach this stuff LIVE! 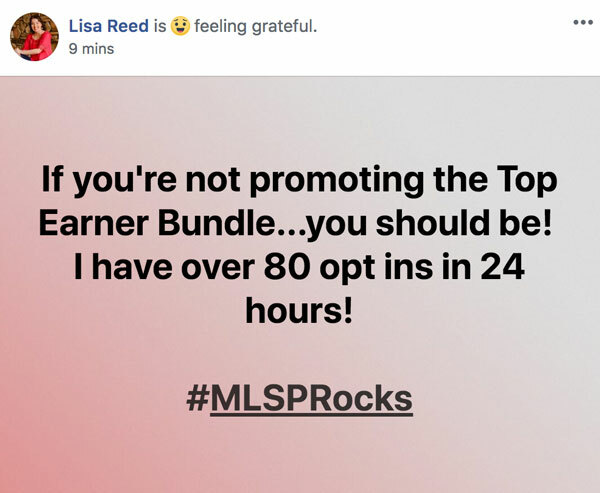 Lisa Reed has been promoting the ‘Top Earner Bundle' from MLSP and getting massive results. Amazing stuff from an amazing woman! Emily Kolar is taking big steps. That first LIVE is not easy. Most people will never do it. But she did it with help from one of the guys who will be speaking at Live the Dream this year Mark Harbert! BOOM! If you're headed to Austin August 10th thru the 10th thru the 12th you'll see Regina Armstrong there! Jean-Serge Gagnon is “All booked for LTD9! So excited to see old friends and meet new ones. We can't wait to see all of these go-getters and all the others at Live the Dream this year! Whoa! Emily Kolar has been paying close attention to the MLSP trainings and the results are reflecting exactly that! 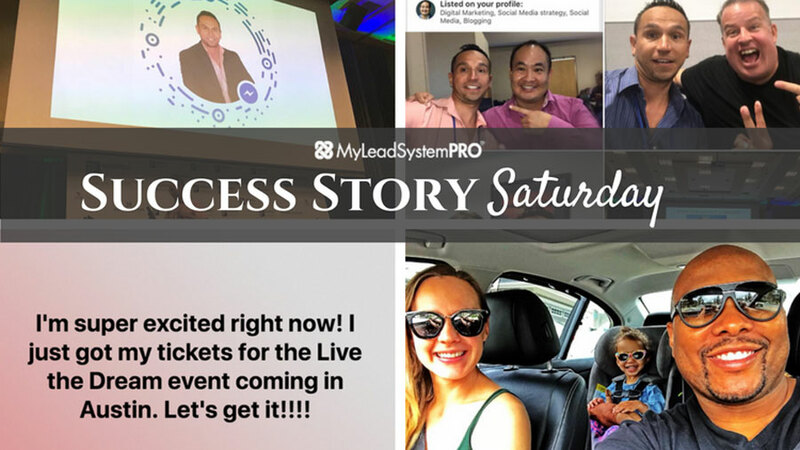 Check Out All the Actual Posts and Screenshots from the Success Stories from This Past Week Below! !